Not content with creating a 24 beer advent calendar with a bunch of his Aussie brewing peers, Ben and his team at Bridge Road have gone and created a Christmas beer too. 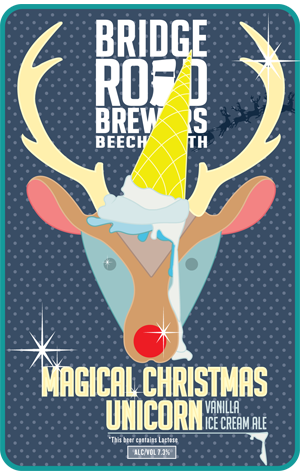 Originally conceived for last night's Grain Store Christmas dinner, the challenge was to create a beer for dessert. The challenge was also given to Modus Operandi, who came up with a spiced pudding porter. With the Bridge Road offering a vanilla custard / ice cream inspired affair, the two beers were served together.